Dr. Iacucci received her Medical Degree and Gastroenterology training from the University of Rome “La Sapienza” School of Medicine. Dr. Marietta Iacucci moved from the Hospital “S Camillo ForIanini” in Rome, Italy to join the Division of Gastroenterology as a Clinical Associate Professor in April 2011. She spent two years in London and Cambridge,UK and in Mainz, Germany and Milan, Italy. 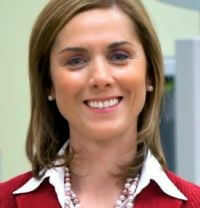 During this period she held a senior Visiting Faculty position and she became very involved with management of IBD. She was focused in High resolution endoscopic images in the diagnosis of gastrointestinal disease (Chromoendoscopy, NBI, tri-modal endoscopy), advanced polypectomy (EMR) and management of inflammatory bowel disease. She also trained in Confocal Endomicroscopy, in other novel imaging (iSCAN) and advanced polypectomy EMR a ESD in Mainz, Germany in Milan, Italy and Japan, Tokjo. Her PhD at the University of Rome Tor Vergata was focused on treatment in IBD. She attended many workshops in novel endoscopic imaging. Her interest is in novel endoscopic imaging, including confocal endomicroscopy, endoscopic image enhancement filter techniques (iSCAN) and advanced therapeutic endoscopy EMR/ESD.